The show kicks off with the guys talking about how long they’ve been attending the convention. Calvin tells about going since age 18 and Scott talks about also volunteering at the convention. Discussion then goes to QR codes and the different ways people are using them with marketing. Brogan then shares that he’s been going to the con for 22 years and Rusty a total of 20. 14:28 – The guys discuss the different types of panels that are offered at the convention in addition to the activity workshops that include sward and shield fighting and glass fusing. Brogan covers what the average cost is for attending and getting a hotel room for the weekend. 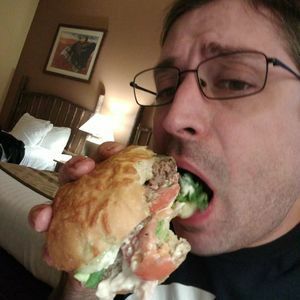 He then dives into how important attending the convention over the years has been for him and they then cover Dr. Ricky, a previous guest on the podcast that has participated in Norwescon panels in the past. 27:23 – Scott talks about being a part of the convention staff and what happens during the monthly planning meetings. They then discuss where Rusty disappeared to and Brogan then turns the conversation to his favorite memories about the con. Talk then goes to the art room where people can bid on art submitted to the convention, parties during the early years of the convention, and how they have changed over the years with LCB rules that mandate how parties can be held. 45:15 – Justin and Scott talk about visiting Camp Bar in Tacoma on Saint Patrick’s Day and doing s’mores at their table. They reminisce about other things they did there before it became Camp Bar, including many comedy shows, watching Justin on Wheel of Fortune, and the roasting of Brogan on his birthday. Rusty also returns and they chat about how much each of them have had to drink so far that day. Fear and Loathing 1 comes to an end with Rusty talking about the interesting conversations he’s had with people at the convention, including a lady explaining to him how a house cat could beat him in a fight and people that believe in ferries. Brogan talks about the earlier days with vampires in the masquerade and the time him and his sister signing up for the slave auction. Stay tuned for Fear and Loathing 2 coming soon!! 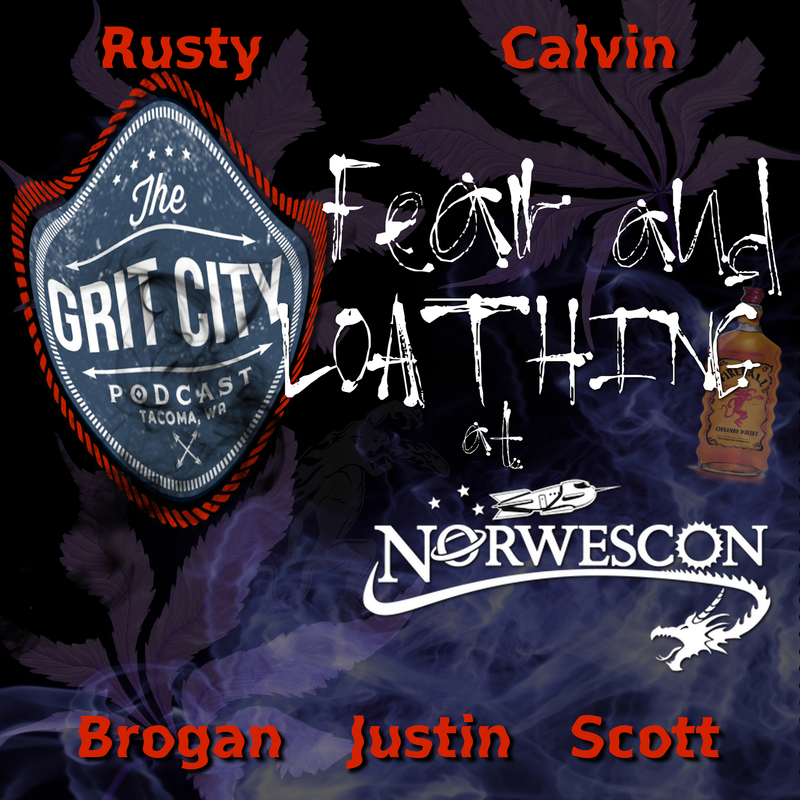 Thanks Rusty and Calvin for joining the guys for a great Norwescon 41 conversation! Kick back with your friends and a tall Northwest micro brew or a frosty pitcher of draft beer. If you're up for billiards, this is the place to be; 20 pool tables and some of the top talent in the entire Pacific Northwest. If you're just looking for a friendly game, drop on by. We've got four pool leagues for players of all skill levels. Malarkey's Pool & Brew is on the corner of 6th & Tacoma.